A dual-SIM smartphone allows you to use two different SIM cards, with two mobile networks and two phone numbers on a single handset. Traditionally, dual-SIM smartphones have been a rarity in the UK mobile market. 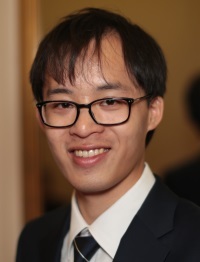 However, they’ve rapidly grown in popularity over the last few years as an increasing number of people buy unlocked smartphones from manufacturers like Huawei, Motorola and OnePlus. Dual-SIM smartphones allow you to use two different SIM cards at the same time on one handset. This means you can be simultaneously connected to two mobile networks on just one device. 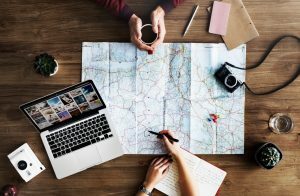 The advantages range from being able to use a single device for both personal and work usage, to being able to take advantage of greater coverage and lower price on two mobile networks. In this article, we’ll discuss how you can benefit from a dual-SIM smartphone, and what you should look out for when choosing a dual-SIM device. We’ll then look at how you can buy a dual-SIM smartphone from mobile phone retailers in the UK. Use the same mobile phone for personal and work. Often, you’ll have two mobile phone connections: perhaps one for personal usage and another for work usage. Instead of carrying around two separate mobile phones, you can instead use a dual-SIM smartphone which combines the functionality of both. Combine the benefits of two different mobile networks. Often, different mobile networks have different benefits. For instance, one mobile network might give better coverage when you live or work, whereas a different mobile network may have lower rates (e.g. for calling in the UK, calling abroad, or more data for the same price). Alternatively, a second SIM card may give you access to exclusive customer offers, such as through O2 Priority. Travel abroad and save money with two SIM cards. When travelling abroad outside of Europe, you’ll normally need to pay an extortionate amount for roaming on your mobile phone. With a dual-SIM smartphone, it’s possible to side-step these charges by using a locally-obtained SIM card from the country you’re visiting. You can also have your normal UK SIM card as the second SIM, allowing you to receive calls and text messages on your normal UK number. Dual-SIM smartphones normally aren’t popular with the mobile networks as they allow you to easily side-step charges from the mobile network (e.g. for travelling abroad or for calling other countries). They also require the handset to be unlocked. For this reason, you’ll normally need to buy your dual-SIM smartphone from an electronics retailer, on a SIM-free and unlocked basis. Most consumer-orientated dual-SIM devices use “dual standby” technology. The vast majority of dual-SIM smartphones use “dual-standby technology”. This is sometimes referred to by its full name of dual-SIM dual-standby (or DSDS for short). On a dual-standby mobile phone, it’s only possible to use one SIM card at a given time for making or receiving phone calls. 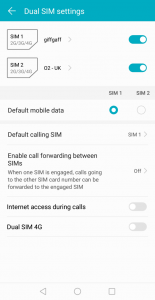 If either SIM card is being used for a call, the other SIM card will be disabled for the duration of the call. For most people, this shouldn’t present too many problems but it’s worth being aware of this limitation. If you’re a heavy power user wanting to make multiple phone calls at the same time, you’ll instead need to buy a mobile phone with dual-SIM dual-active (DSDA) technology. These phones are much harder to find and are also much more expensive, but have two transceivers so you can be making a phone call on both SIM cards at the same time. You can also do things like putting one call on hold whilst you handle the other call, or you could connect the two phone calls together into one conversation. Nowadays, it’s incredibly difficult to find a mainstream device that has dual-SIM dual-active technology. If you do require the very specific functionality, it’s likely you’ll need to undergo a detailed search for a more specialist device. In our opinion, the more mainstream dual-standby devices should suffice for most consumers and are also much more readily available. Some newer dual-SIM phones have “Dual SIM 4G” technology. At the time of writing, most dual-SIM smartphones have 4G+2G connectivity. This means you’ll get 4G connectivity on your primary SIM card and 2G connectivity on your secondary SIM card. It’s worth knowing this because you’ll need to make sure the mobile network used on your secondary SIM card slot has support for 2G coverage. In the UK, most mobile networks still provide some 2G coverage. However, Three is a notable exception in that it doesn’t provide any 2G coverage. Unfortunately, this means you aren’t able to use a SIM card from Three in the secondary SIM card slot, or from any other virtual network operator that uses coverage from Three (this includes iD Mobile, Smarty, Superdrug Mobile and more). Outside the UK, a number of countries have begun switch off 2G coverage. For instance, 2G coverage is no longer available in countries like Australia, Japan, Singapore and Taiwan. In other countries, it has been partially switched off. For instance, in the United States, AT&T has switched off 2G meaning it’s now only available on T-Mobile. This is worth knowing as it might affect you when travelling to other countries with a dual-SIM device. On some newer devices, you’ll find support for 4G+4G (Dual SIM 4G) connectivity, or sometimes 4G+3G connectivity. The benefit of this is you’ll be able to access a wider range of connectivity on both SIM card slots, including mobile networks that lack 2G support. In our opinion, a device like the Honor View 10 is worth considering if you’d like Dual SIM 4G connectivity. In some phones, the second SIM card slot doubles up as the micro-SD card slot. Finally, it’s worth taking a look at the design of the SIM card slot. 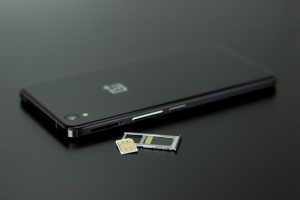 On dual-SIM phones, there will typically be a SIM card tray where you’re able to insert a SIM card from each provider (typically, this will be either two micro-SIMs or two nano-SIMs). In some cases, the SIM card slot is designed in such a way where the slot for your secondary SIM card doubles up as the slot for your micro-SD card. This is unfortunate as it means you’ll need to make the choice between having dual-SIM connectivity and additional micro-SD storage. Whilst there are some hacks to get around this (e.g. fusing part of the secondary SIM card onto the back of your micro-SD card), these hacks are often dangerous and are not recommended. Where possible, we’d recommend choosing a handset that has separate physical slots for the secondary SIM card and micro-SD card. If you’d like to buy a dual-SIM smartphone, you’ll typically need to buy it on an unlocked basis from an electronics retailer. It typically isn’t possible to buy it on contract from a mobile network (dual-SIM smartphones tend to be unpopular with them, as they make it easier for you to bypass charges e.g. for international calling and roaming). 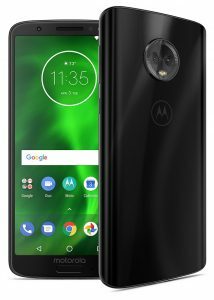 Moto G6 (£219) – A mid-range device, that’s available for £219 at the time of writing. This is available with dual-SIM capabilities when you purchase from John Lewis. If you’re purchasing elsewhere, you should double-check the specifications as there is also a single-SIM version priced at a similar amount. See our full review of the Moto G for more information. Honor View 10 (£380) – Available for £380 at the time of writing, the Honor View 10 is a dual-SIM smartphone with “Dual SIM 4G” connectivity. Honor is the online-only sub-brand of Huawei with lower prices, with the Honor View 10 being closely-based on the Huawei Mate 10 Pro. 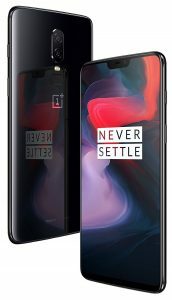 OnePlus 6 (£520) – The OnePlus 6 is a high-end smartphone, available for around £520 with “Dual SIM 4G” capabilities. When choosing a dual-SIM smartphone, look out for other related features that can make your life easier. For instance, Motorola has a featured called intelligent calling which will automatically choose the best SIM card when you place a call. Similarly, Huawei has a feature called App Twin which allows you to run two separate instances of a single application (e.g. you could have separate WhatsApp accounts for your personal and work phone numbers).